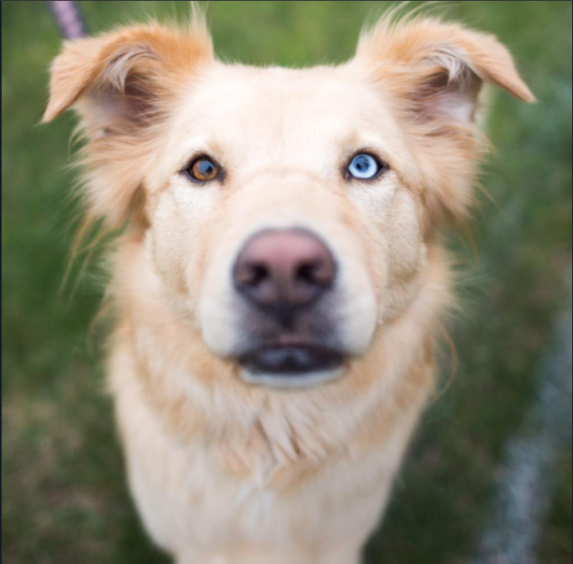 The Goberian is a mixed breed dog that is the product of a Golden Retriever crossed with a Siberian Husky. Commonly a large dog, the Goberian is usually very friendly and loyal to those who they consider to be the pack leader. The Goberian tend to be quite smart, with tons of energy and a need to please their owners. Goberians tend to be gentle and good with people, as well as easy to train. The Goberian is intelligent and friendly and will typically enjoy being around people. Dogs of the hybrid will usually be gentle as well as loyal and affectionate. While at times independent, the Goberian will seek to please his humans. The Goberian will be alert and excel as a watchdog, barking to let you know of any unusual activity. The hybrid will get along well with children as well as other pets in the household. Early socialization is important to avoid any behavior issues and the majority of Goberians are easy to train.